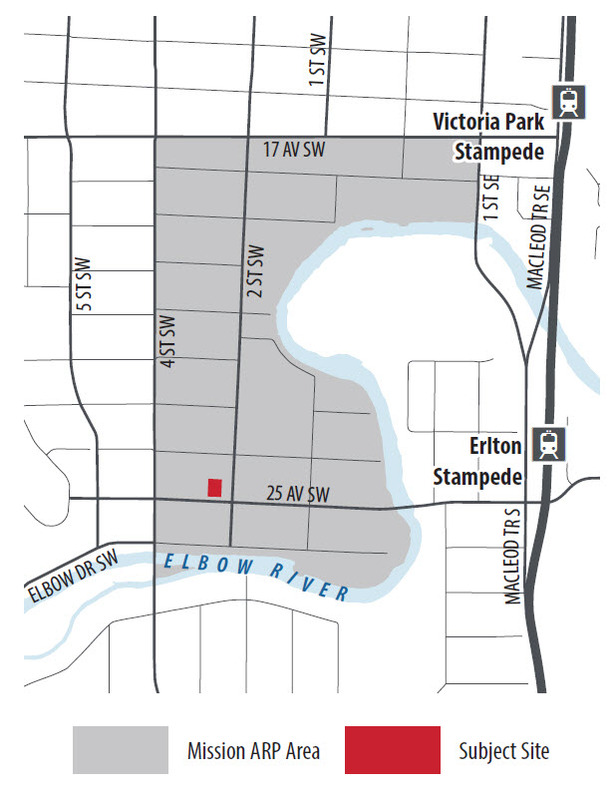 A development permit and land use amendment application for a multi-residential building has been submitted for a site at the corner of 25 Ave. and 2 St. S.W. in the community of Mission. If approved, this proposed development would replace the four existing low-density residential buildings with one seven storey, 44 unit multi-residential building. To accommodate this, the applicant is seeking to change the land use for the site to allow for a seven storey building with a maximum height of 24 metres. Currently, the land use for the site allows for a six storey building with a maximum height of 15 metres. The City of Calgary asked for public input on this application. For a summary of public feedback, view the What We Heard Report. The feedback collected at the public open house and Engage Portal page will be used in The City’s review of the application. In the late summer of 2017, the City file manager will respond to the application with a review of the application that will incorporate feedback from our engagement activities. The application will go to the Calgary Planning Commission in the fall of 2017, and to a public hearing of Council in the winter of 2017. Sign up for 25 Ave. S.W. Multi-residential Development Application email updates.